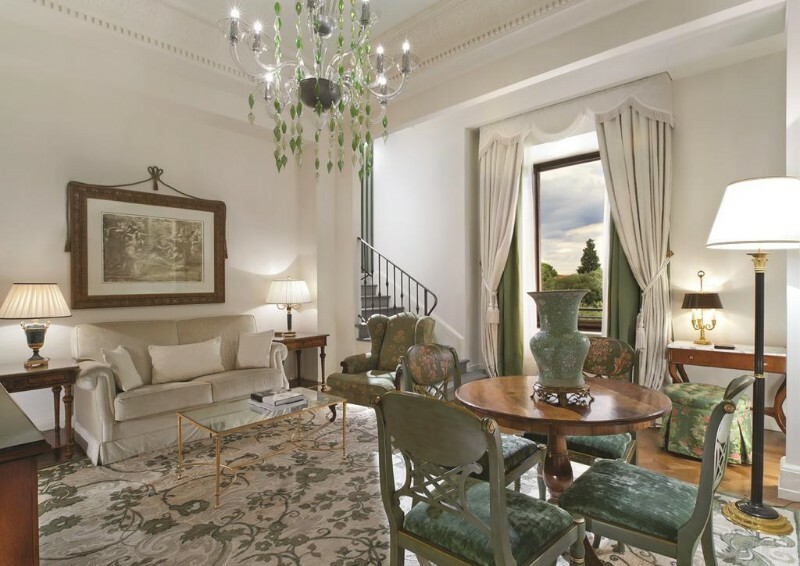 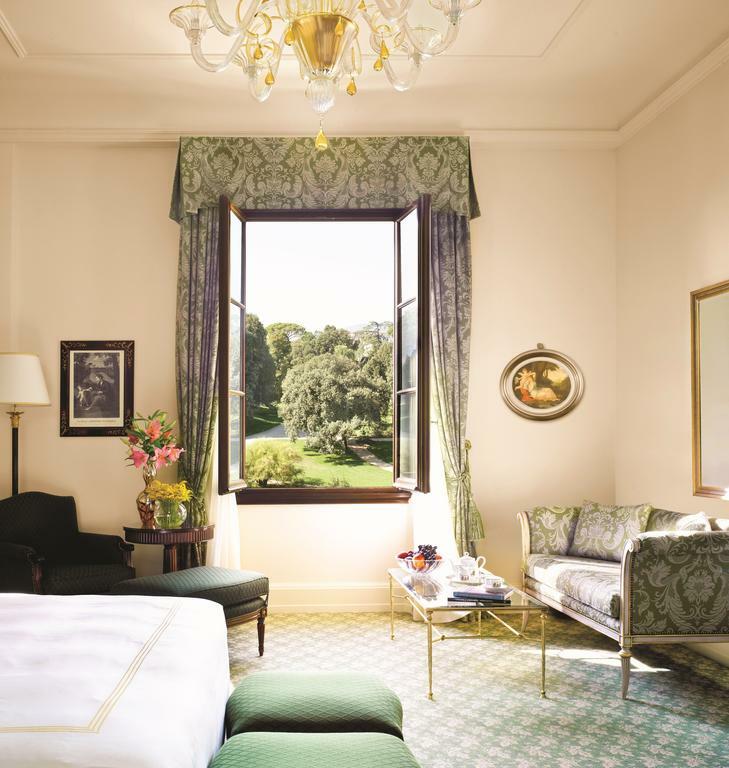 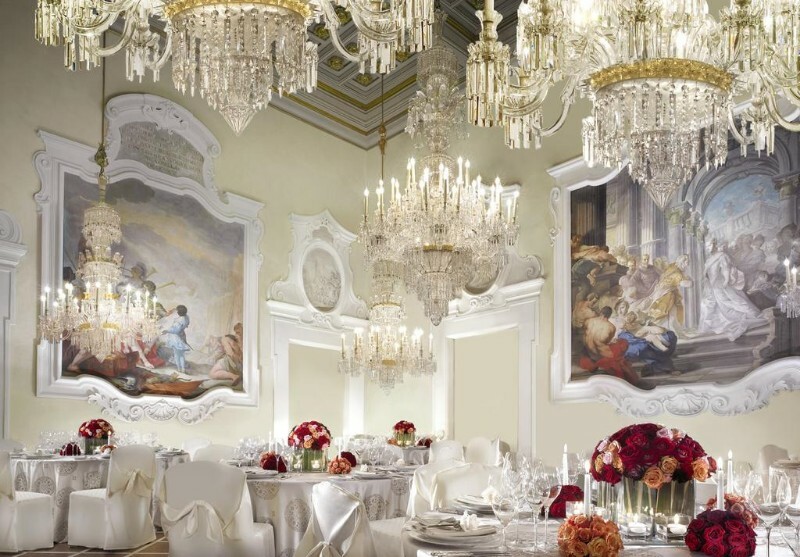 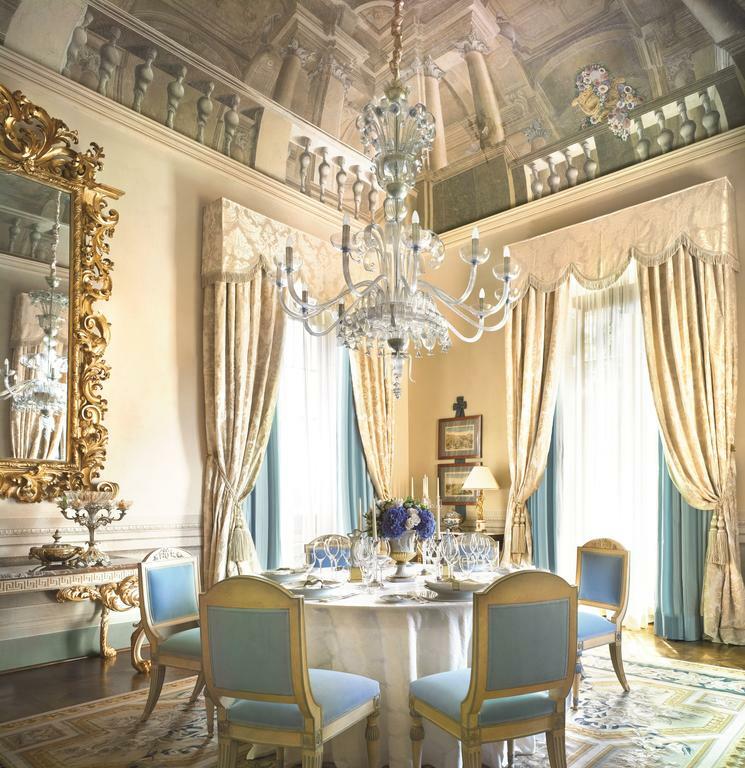 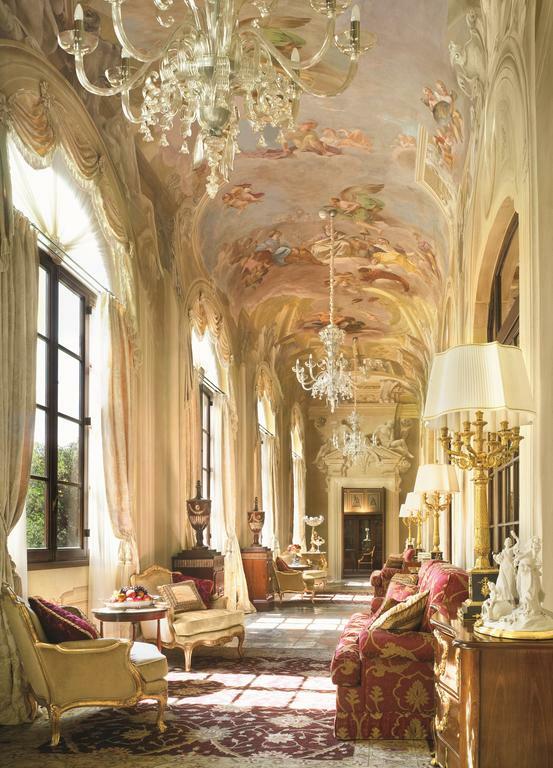 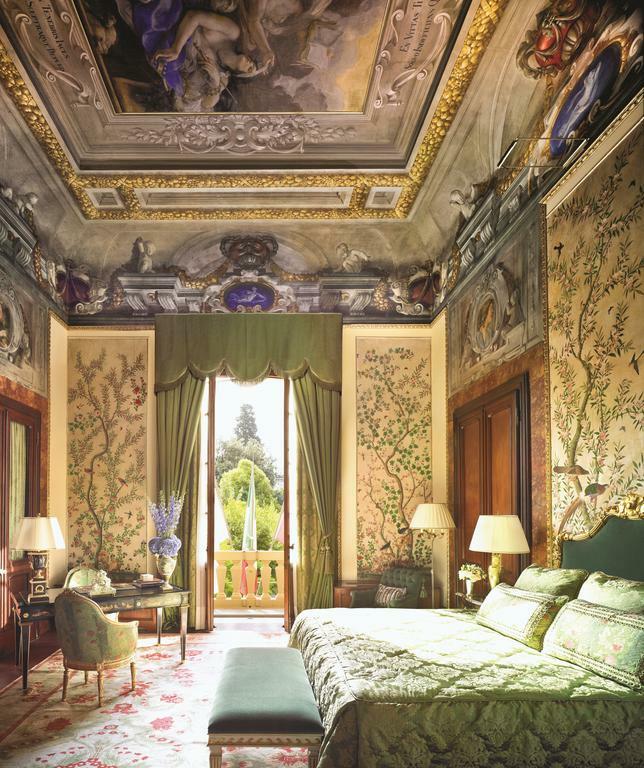 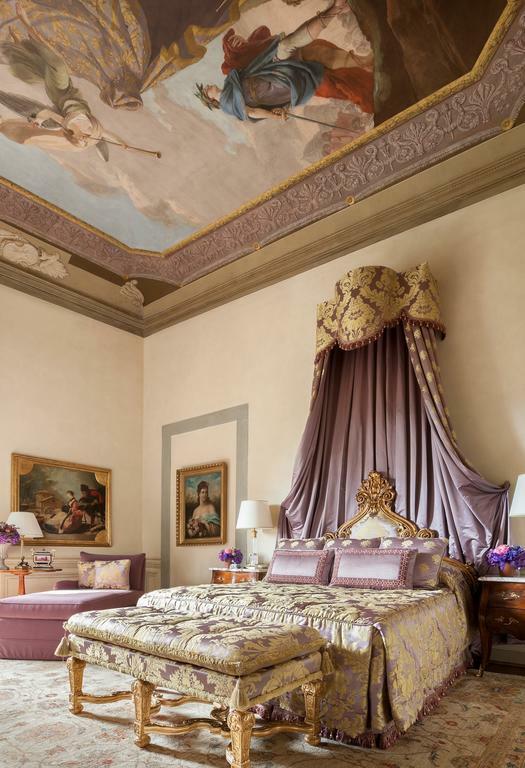 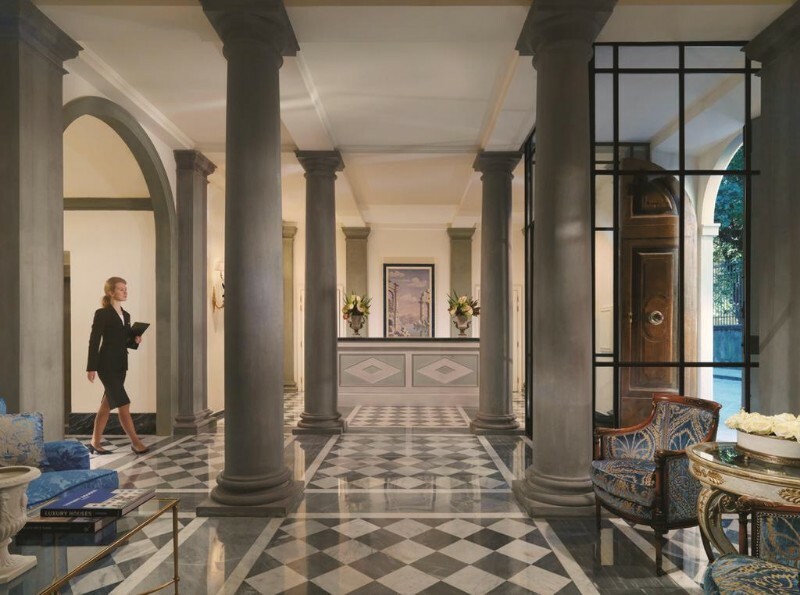 A strong candidate for Florence’s best hotel, the 5 star Four Seasons Gherardesca Palace Hotel is a veritable oasis in the heart of one of the world’s most visited cities. 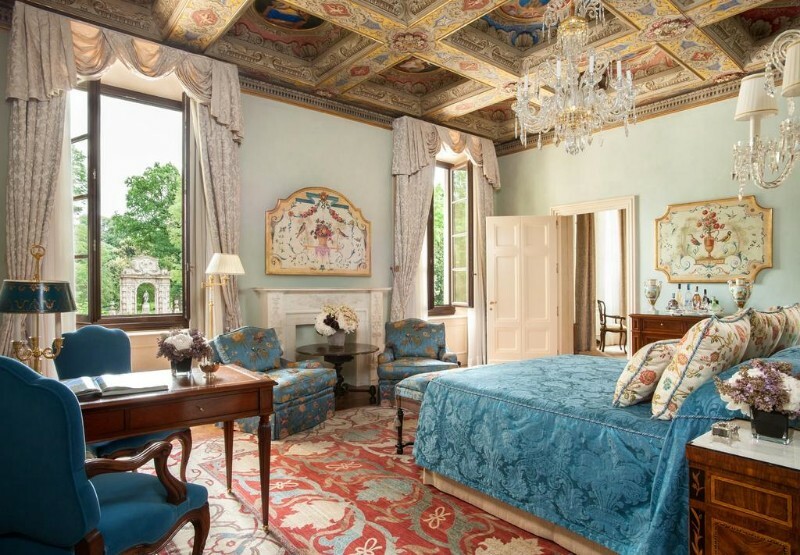 It has 11 acres of peaceful walled gardens to separate you from the tourist masses and, though the exteriors are relatively unassuming, the lavish interiors are an incredible, Renaissance era, feast for the eyes. 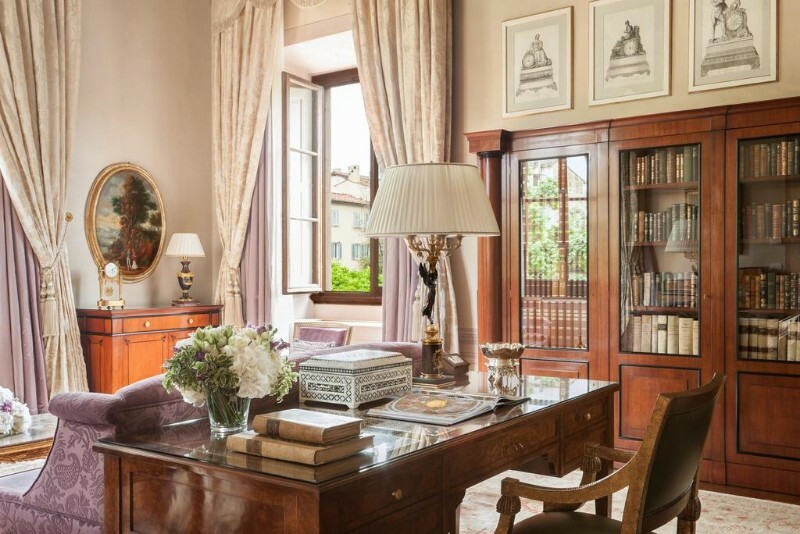 Housed between the 15th century Palazzo della Gherardesca, which served as a private residence for Florentine nobility (including one Pope) and a 16th century convent across the gardens known as La Villa, it has a tremendous sense of history and is incredibly rich in historic features, right down to the smallest detail. 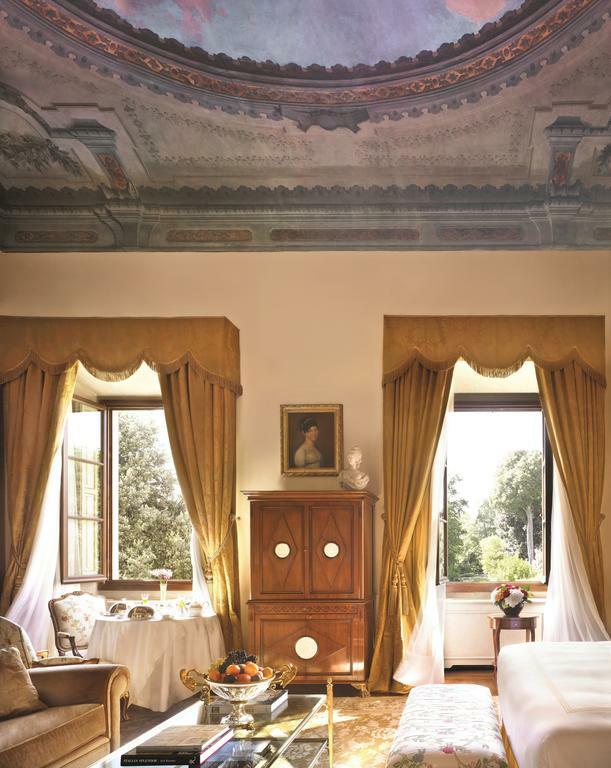 Frescoes, stuccos, bas-reliefs and even old silk wallpapers have been carefully restored, magnificent pieces of classical art abound, and the whole hotel has the look and feel of a living museum. 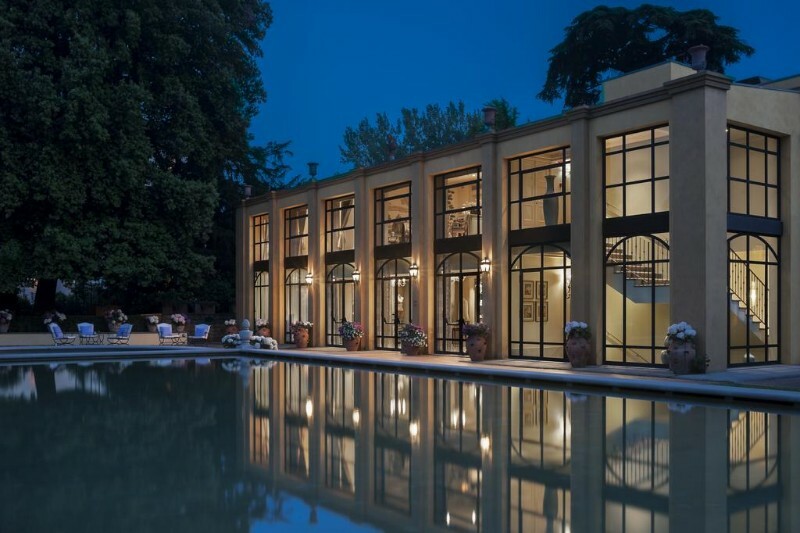 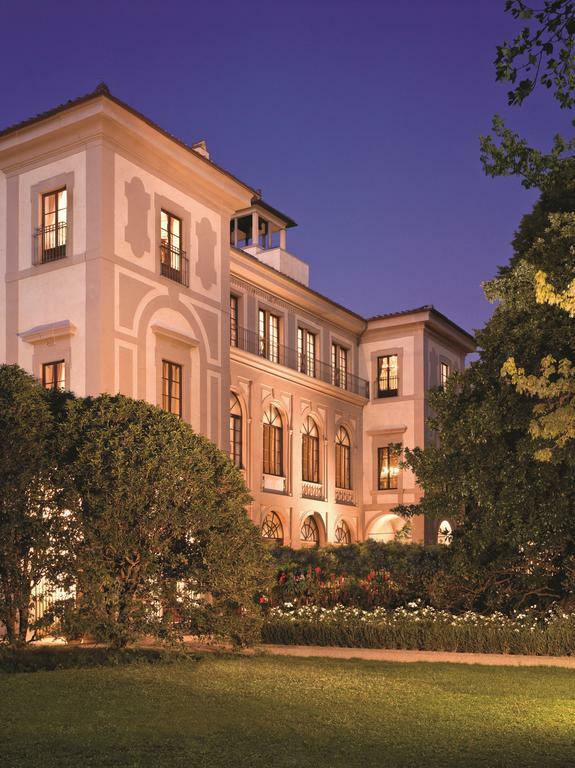 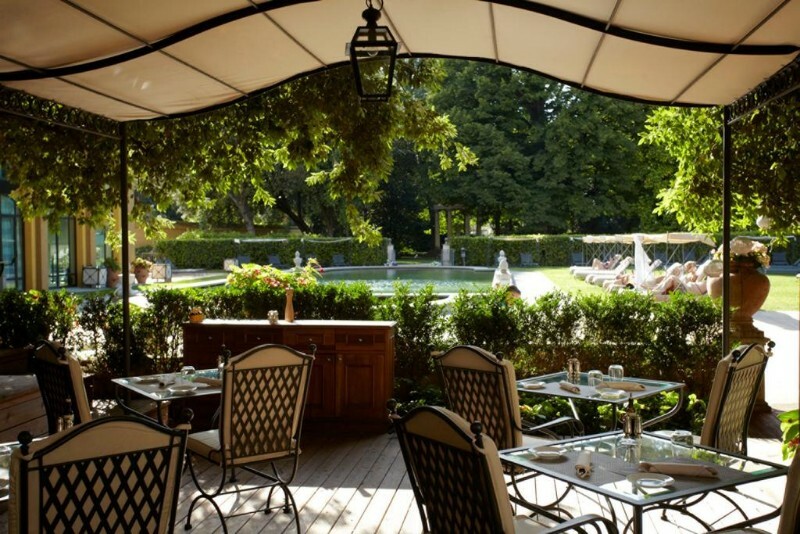 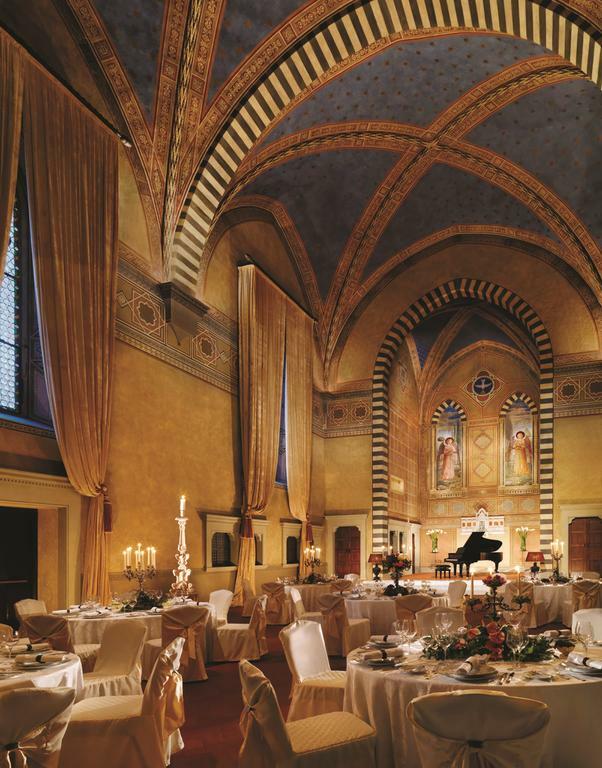 Facilities include a large outdoor pool nicely set in the gardens, perhaps Florence’s best spa facilities, and perhaps its best restaurant in the form of the Michelin starred Il Palagio. 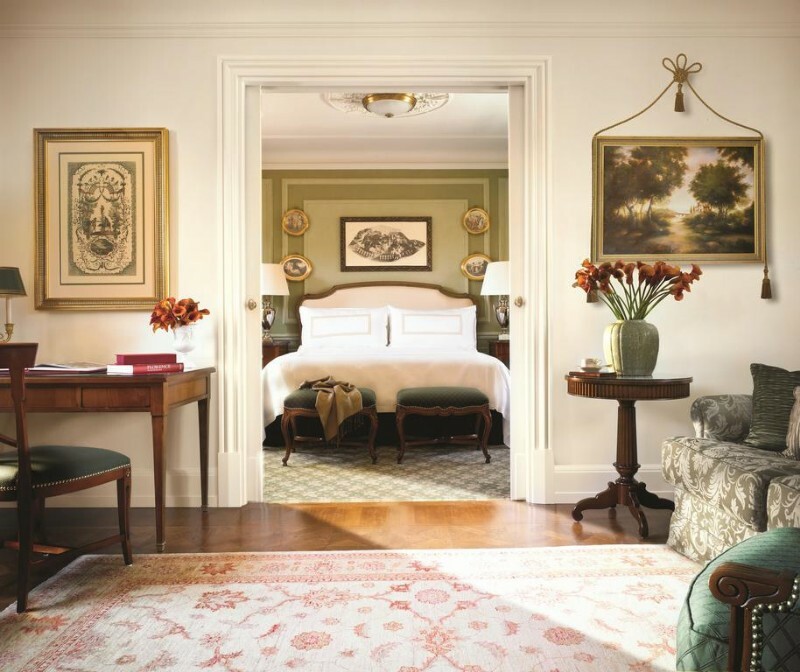 You can choose from 116 rooms and suites (check the booking page here), from superior and deluxe double rooms all the way up to some tremendously impressive suites. 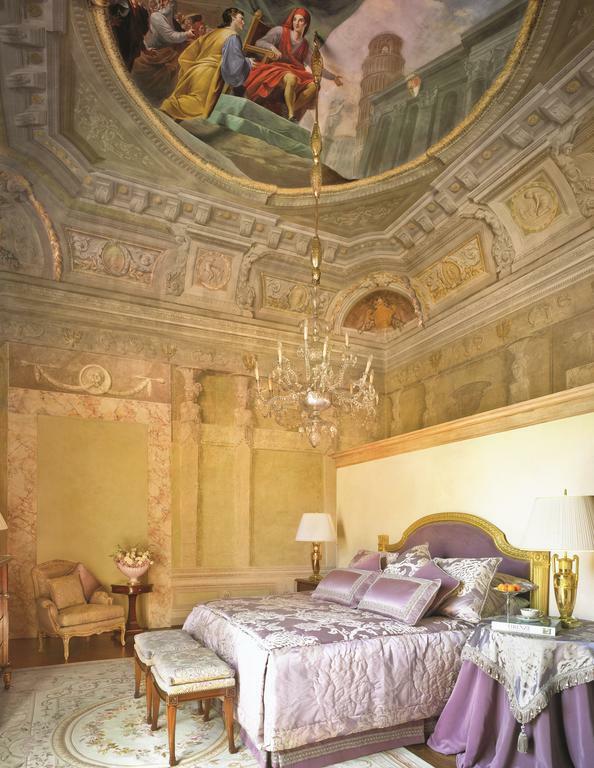 The most lavish of all these suites is the Royal Suite which offers a full 234 square meters of historical splendor and the experience of living like royalty in your own Renaissance Palace. 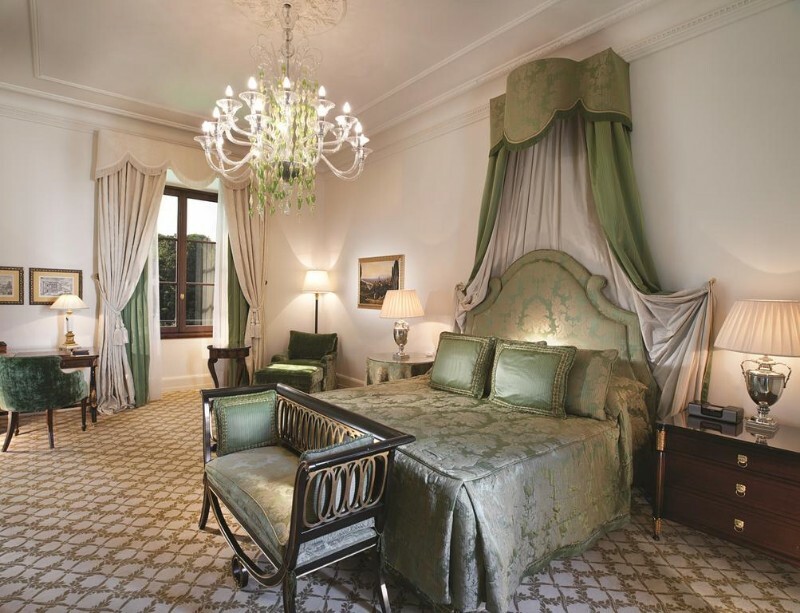 The aesthetics between the individually designed rooms and suites may vary but all offer the ultimate in luxury hotel comfort; lavish, thick carpets, delicate brocades, the finest of linens and the softest of feather duvets. 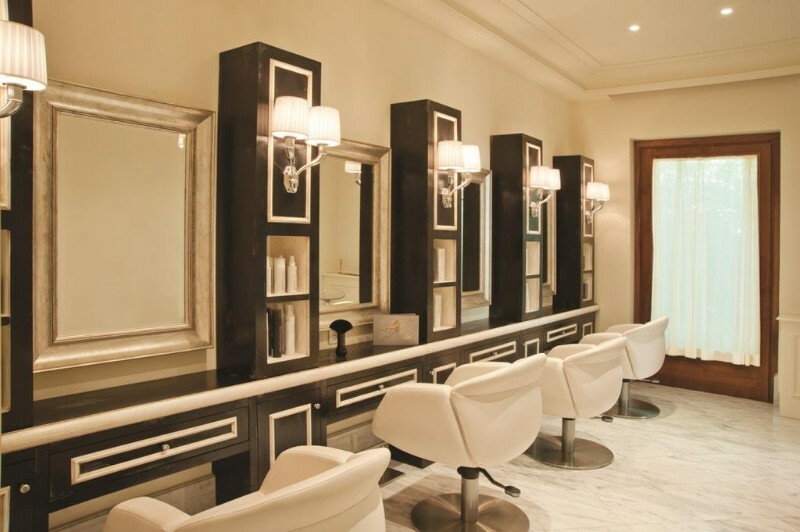 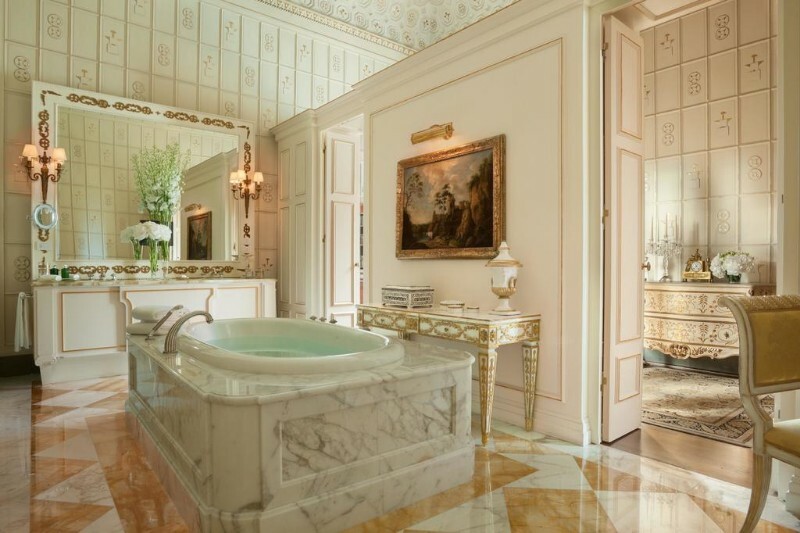 The sleek marble bathrooms also deserve a mention and are supplied with bespoke products from Florence’s most illustrious modern perfumer Lorenzo Villoresi. 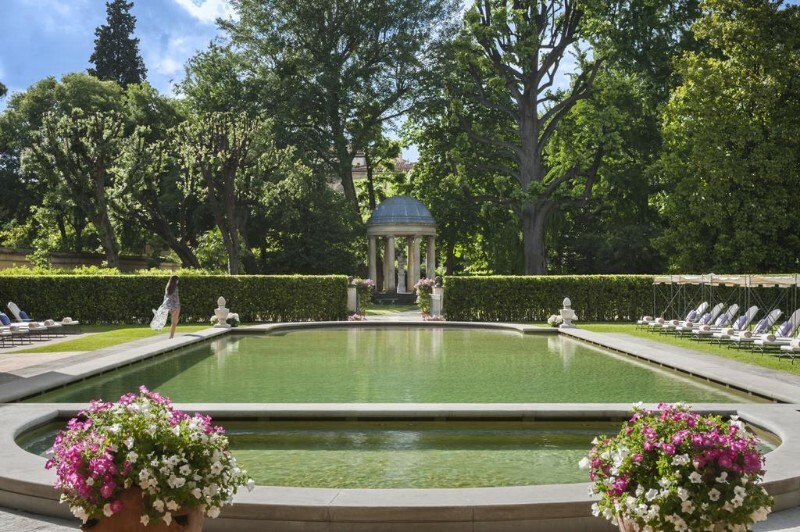 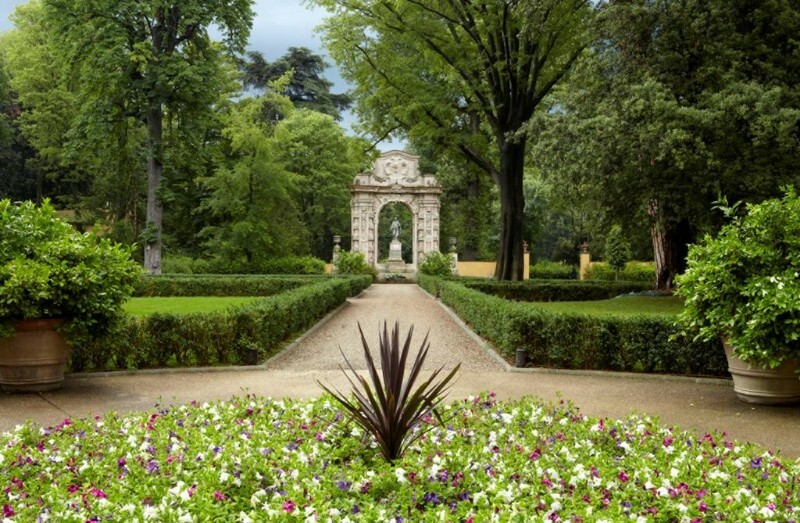 The Della Gherardesca Gardens at the Four Seasons are quite unique, the largest private gardens in the city, they are entirely walled and cover a full 11 acres. 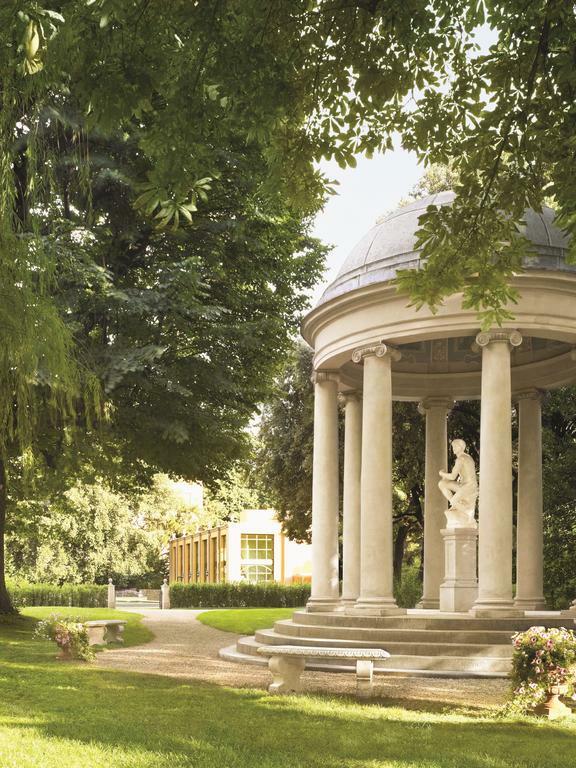 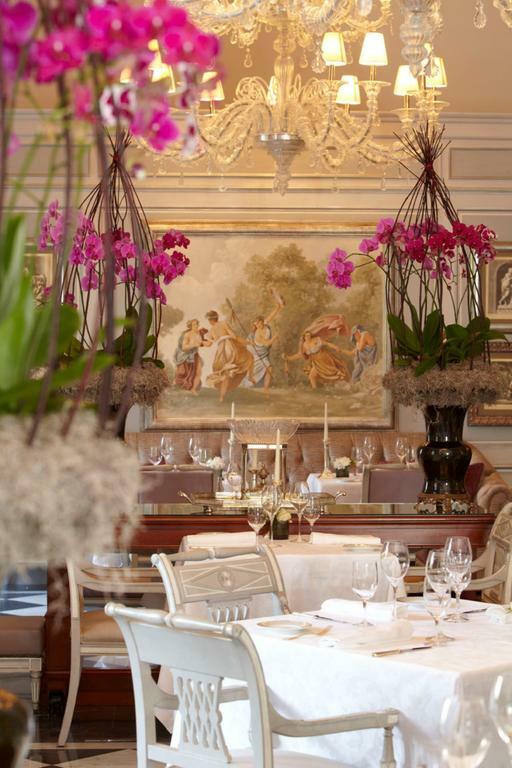 They are as opulent and as beautiful as the hotel interiors with their century old trees, statues, gorgeous flower beds, a small Ionic temple and a pavilion known as the Kaffeehaus. 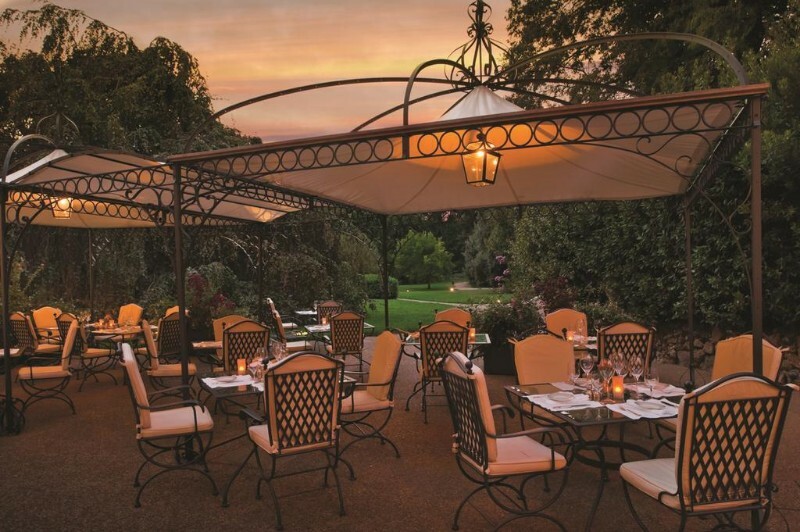 They also contain an al fresco summer bar and restaurant, a large outdoor swimming pool and an adjacent (indoor) spa but are large enough that you can always find a tranquil space all to yourself. 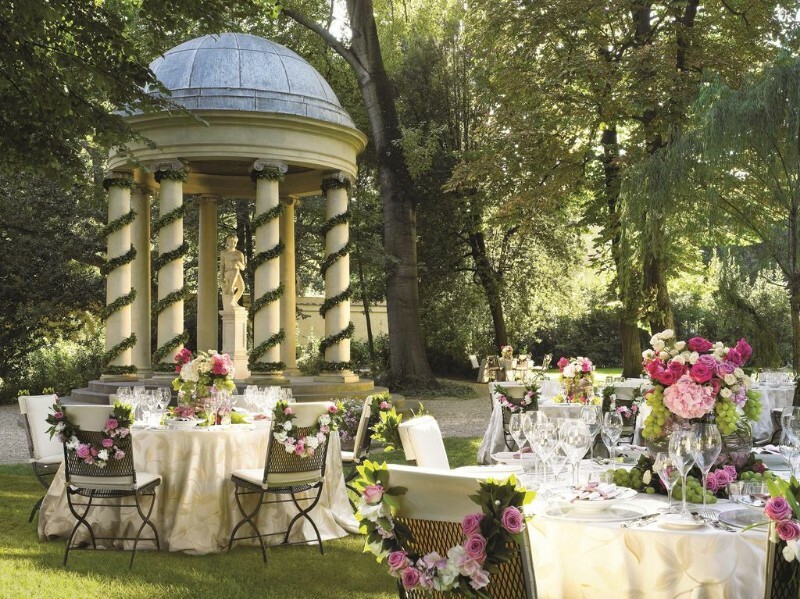 Indulge yourself that bit more with a gourmet picnic from the hotel’s Michelin starred chef. 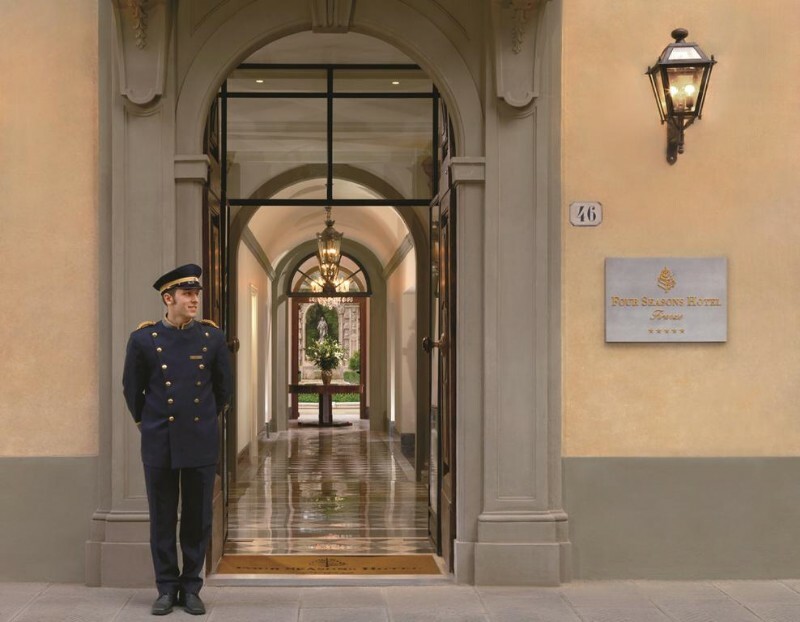 The spa is generally rated as Florence’s best hotel spa and is a two level sanctuary that comes with ten treatment rooms, sauna, steam baths, jacuzzi, ice fountain, a state of the art gym and all sorts of professional massage and beauty treatments. 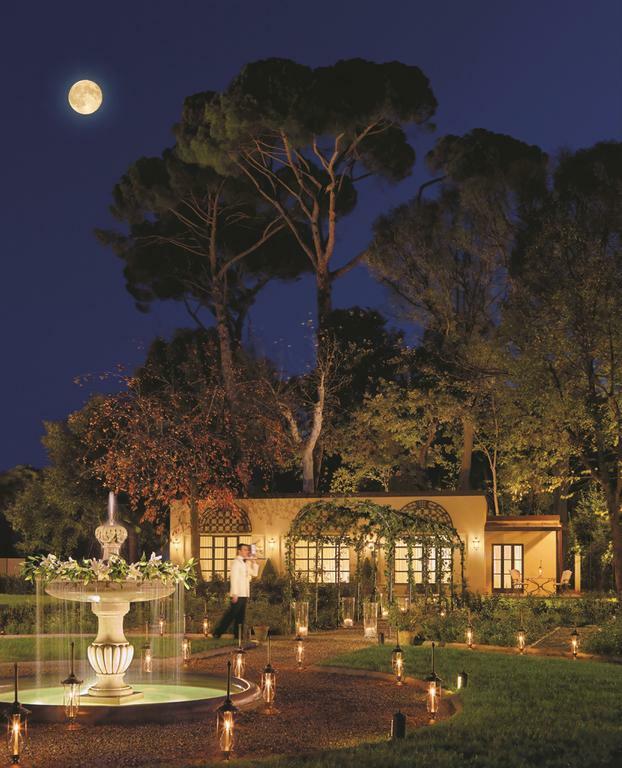 The opulent Il Palagio Restaurant has a Michelin star and a suitably great reputation. 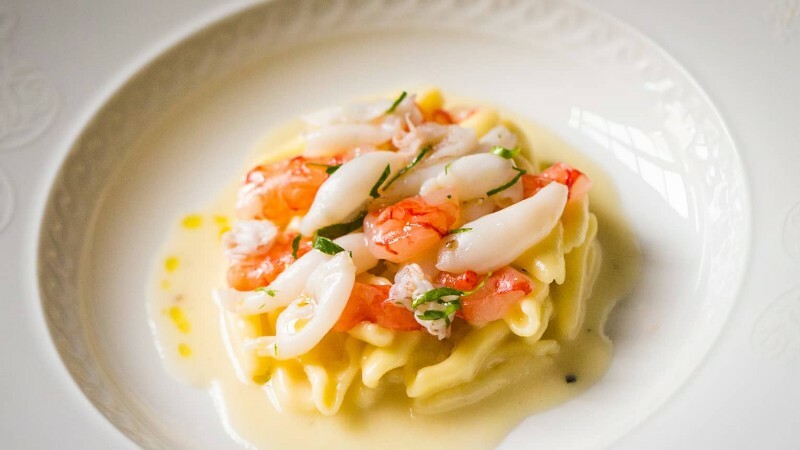 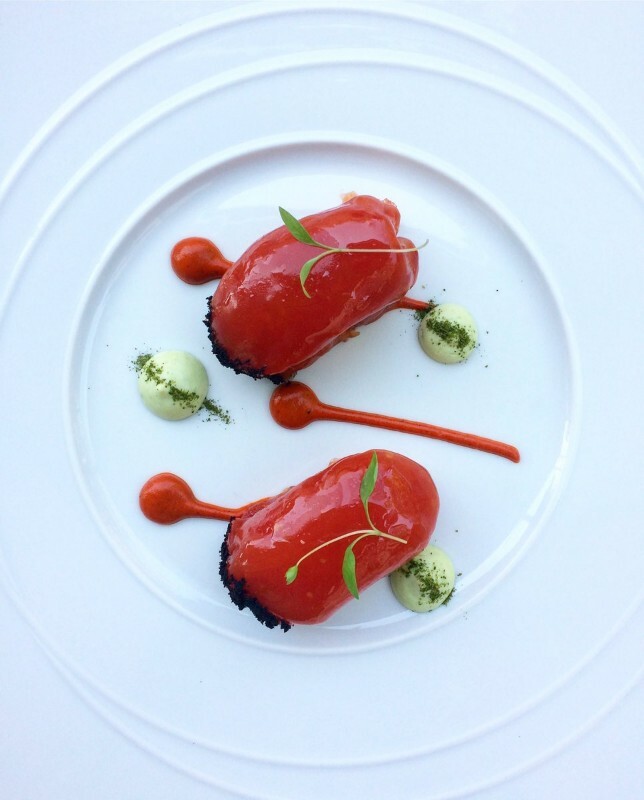 There head chef Vito Mollica makes use of fresh, wholesome, seasonal ingredients to create subtly modernist variations of classic Tuscan and Italian dishes. 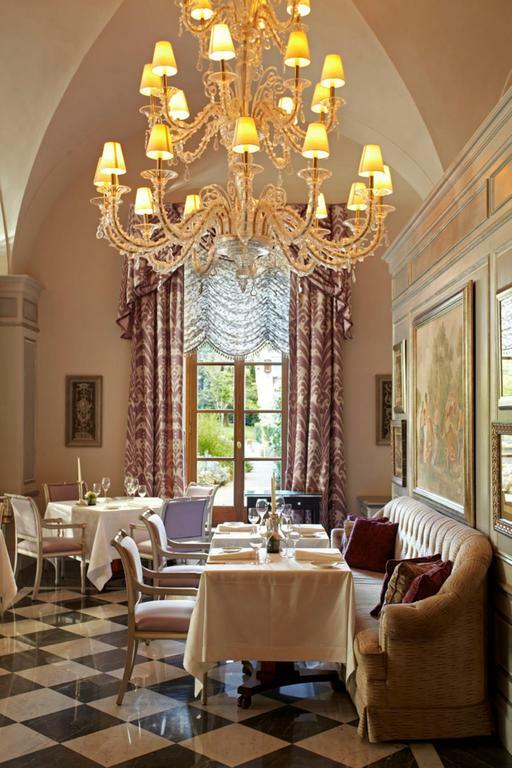 It also has a tremendous wine list with more than 400 choices, including at least 50 by the glass. 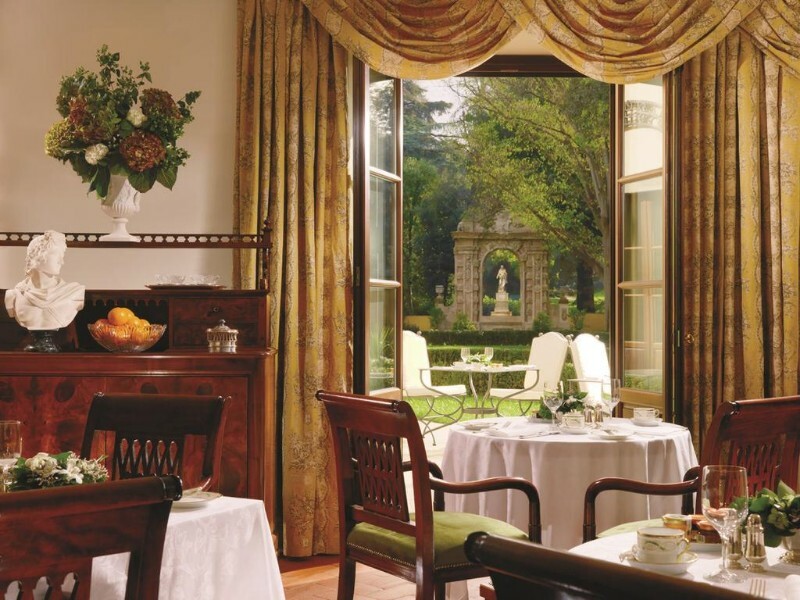 You can also enjoy some lavish breakfasts at La Magnolia Restaurant, some comfort food in the form of pizza, pasta and sandwiches etc. 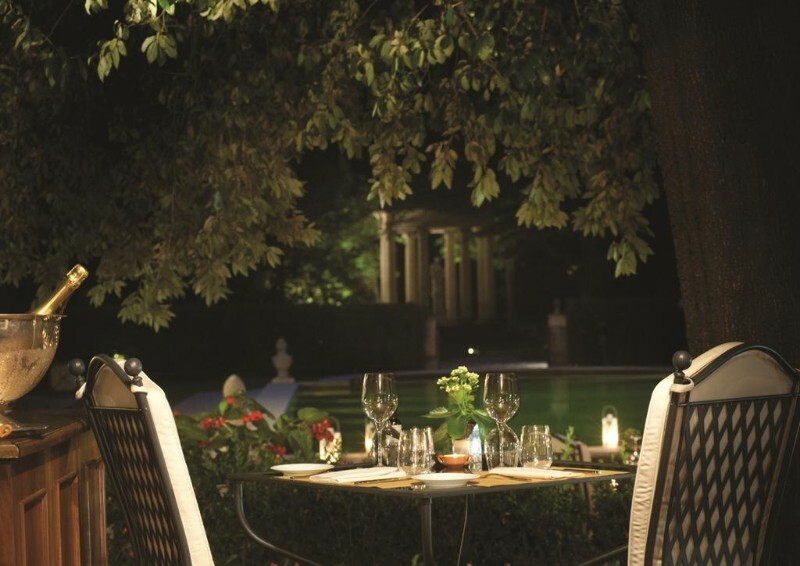 at the casual poolside al fresco restaurant as well as afternoon tea and some creative cocktails at the Atrium Bar. 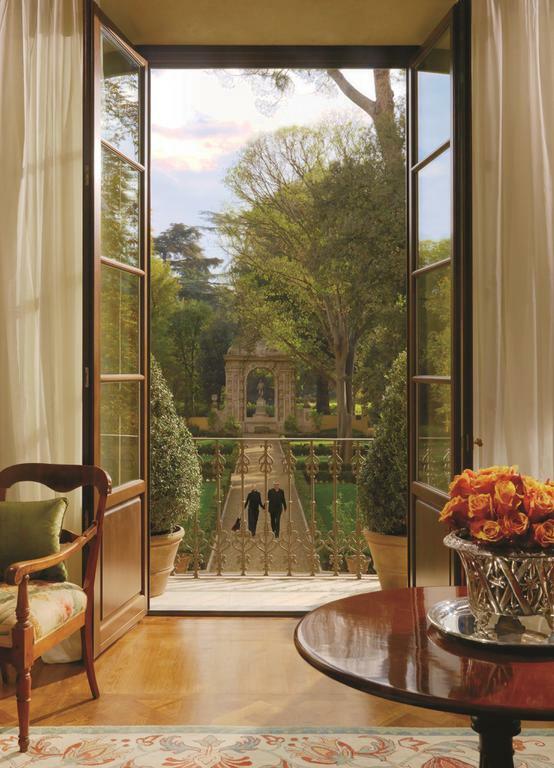 The Four Seasons has a concierge service that can surprise and delight even the most demanding of clients. 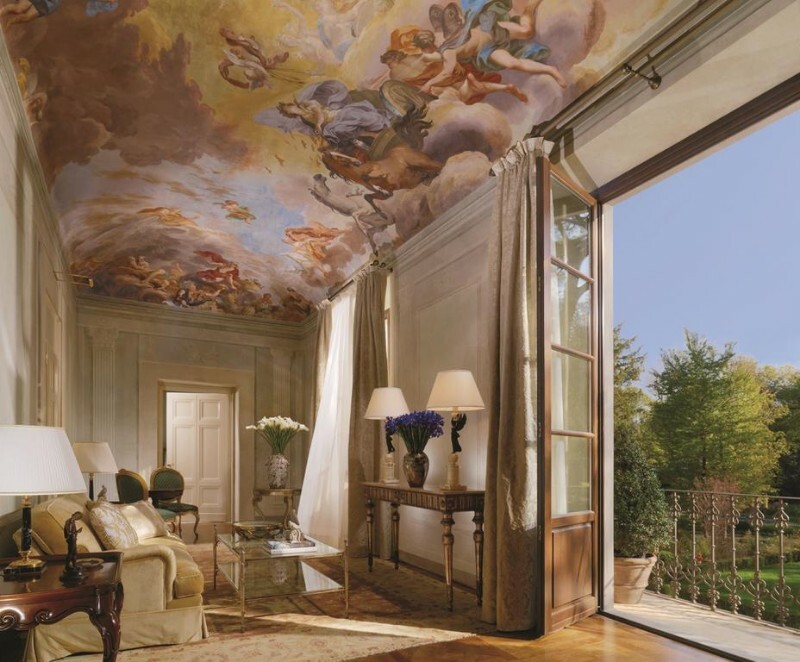 There are things that they can arrange that practically nobody else in Florence can, things like dinner with butler service in a private section of Ponte Vecchio for example, exclusive after hours private visits to the Uffizi Gallery or hot air balloon trips which depart from right inside the hotel gardens. 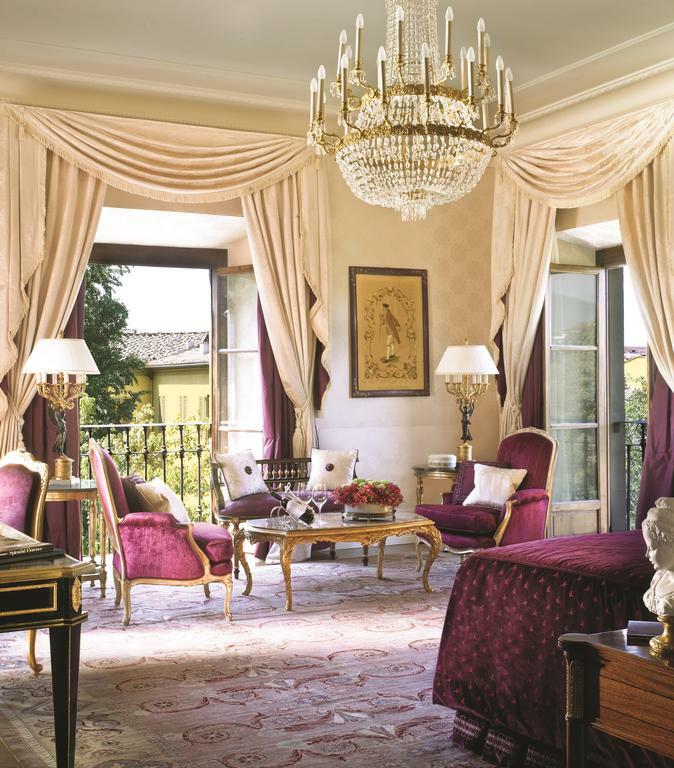 Pets are allowed at the Four Seasons, Florence and children are better catered for than you might imagine in such a romantic style hotel, with kid’s menus at the restaurants, a playground and a daily kid’s club plus babysitters and child minders to free up parent’s hard won time. 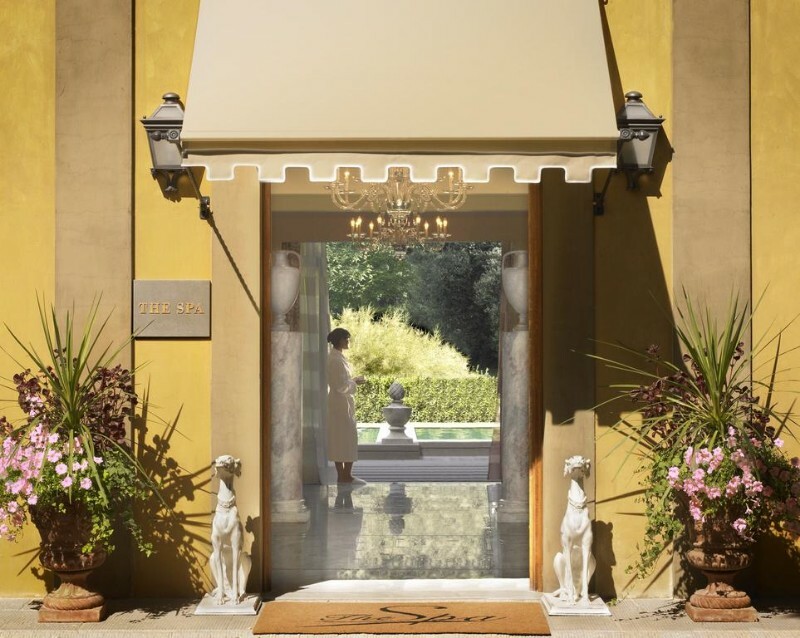 The Four Seasons Hotel is less than 15 minutes’ walk from the Centro Storico (if that seems too long the hotel even provides a regular shuttle bus service), just off the north eastern section of the viali that circle the old city. 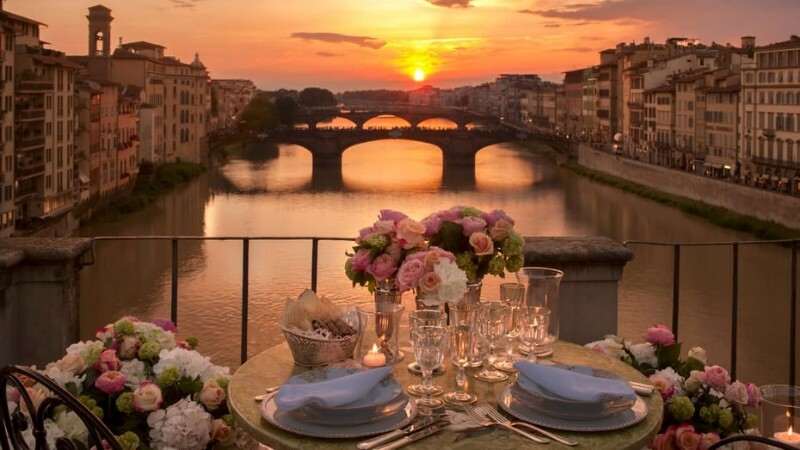 Florence is perhaps the historic art capital of the world boasting an extraordinary amount of priceless treasures from the likes of Michelangelo, Da Vinci, Raphael and Botticelli and you can pay requisite visits to world famous attractions such as the Duomo and Brunelleschi’s famous dome, the Uffizi Gallery and the Galleria dell’Accademia, home to Michelangelo’s David, in one art and history filled morning. 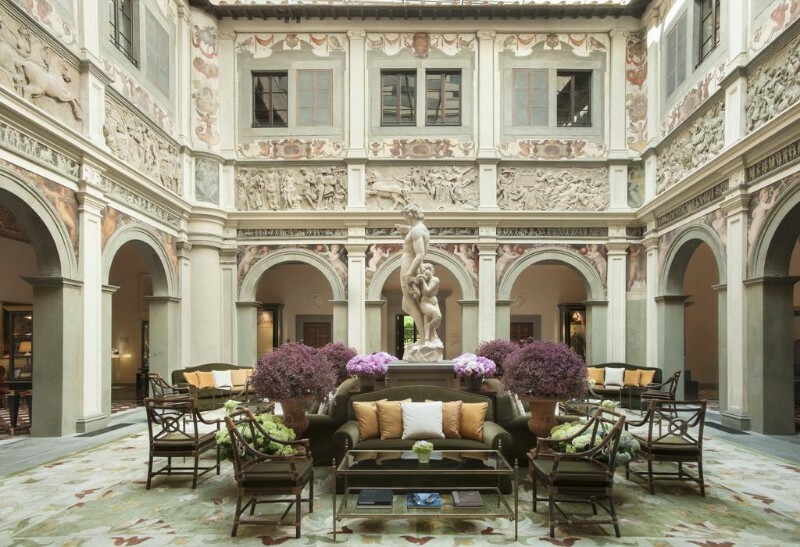 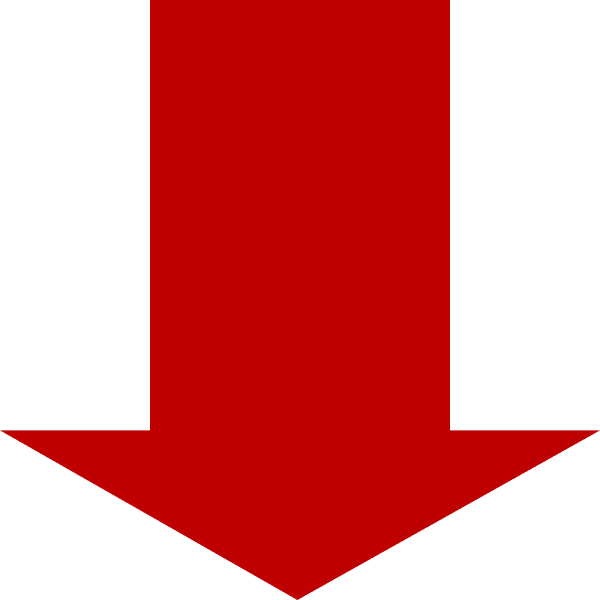 Make sure to get there relatively early to avoid some of the queues, especially on summer weekends (though the Four Seasons’ concierge can arrange an after hours private visit to the Uffizi Gallery). 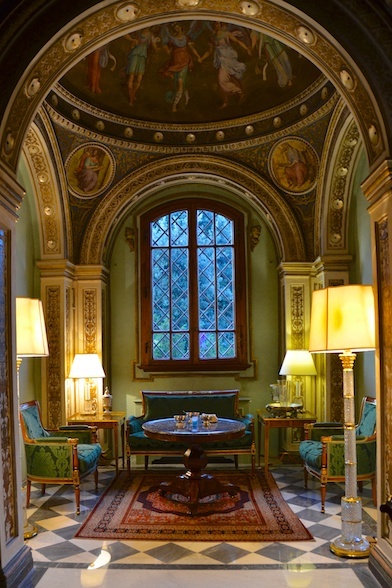 There are also many other more unassuming sights, away from the masses, that offer a calmer atmosphere to absorb some history; the church of Santa Maria Maddalena dei Pazzi, the setting for Perugino’s Crucifixion fresco for example, the peaceful English Cemetery, final resting place for the Victorian era Poet Elizabeth Barrett Browning, and the touchingly intimate Basilica di Santa Croce to the south east of the Duomo. 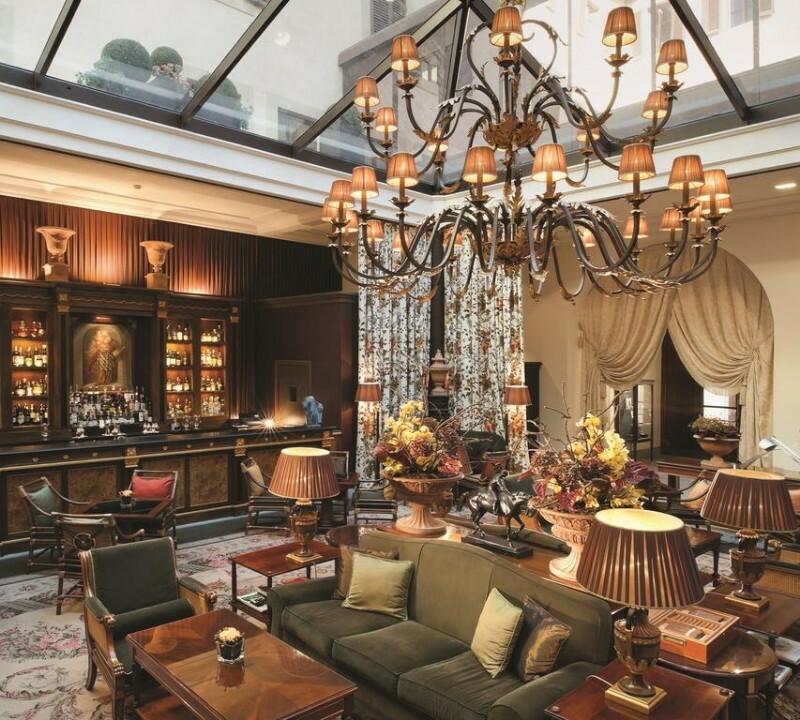 There is a lot to see and do in the city and as mentioned previously the concierge at the Four Seasons can arrange all sorts of things for you as well as being, along with the reception staff, a great source of advice as to how to spend the day or evening.